1 tbsp -oil, 1 tsp- Fenugreek Seeds, 1 tsp- Mustard seeds, 2-3, curry leaves, Asafoetida to taste. Soak the tuver daal in enough water for at least half an hour. Add some Fenugreek seeds, and a pinch of turmeric to the water before putting it in the pressure cooker. Cook until soft. Mash the daal with enough water to make it into a medium consistency. The water and daal mixture should not be too thick or thin. In a deep pan, pour the daal, add the jaggery, kokum pieces, peanuts, chopped jalapenos, tomatoes and cilantro. Stir well. Bring this mixture to a boil. Let this mixture simmer for 10-15 minutes. Add the salt, chili powder, and dhania-jeera powder. In a separate tempering pan, heat some oil. Add the mustard seeds and fenugreek seeds, When the fenugreek seeds turn a bit red, add some curry leaves and the asafoetida. Pour this tempered mixture into the daal. Stir well, and simmer for 5-7 minutes. 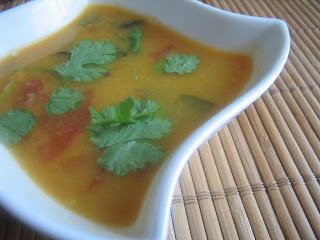 When ready to serve the daal, add the grated ginger towards the end and simmer some more, around 5 more minutes. Garnish with Cilantro and serve hot with rice, curry, chapatis and yogurt. Enjoy! wohoooo... i am the 1st one to comment:) everytime i come to ur blog u have fresh new look to it. love this green n cream combi of template. I made your version of dhokla yesterday . It tasted real good. I did not get the spongy look/texture that you mentioned though. I still need to keep trying till I pefect the technique. Thanks for the recipe. Trupti, I was waiting for this post. Going to try it tomorrow for sure and will come back and comment how it tasted...i dont have kokum and peanuts, since its optional, its ok to stay away from it. Btw, i liked ur new template...very appealing and peaceful...somehow I was not comfy with that dark background earlier! Hi Trupti, I love the this gujju daal too but I have to say that rest of the family doesnt - but that works in my favour when we get takeaways from this gujju joint, I get to drink all the left over daal ! We dont get kokum here, is there any substitute we can use ? I am going to try it and will let you know how it was, who knows may be hubby and kids will like your version ! Sluuurp..I can drink this like a soup. I often eat at a Gujarati restaurant here. Love all the Gujarati dishes. Hey Nice Blog template. Fresh colors of spring! Trupti, I love the vegetarian dishes you post here. So much variety!!!! Can you post a picture of Kokum? I did a post on my blog about Kudampuli which some say is same as Kokum so just wanted to see one. Though I found some images on the web it still would be good if you can post one. Love the new template Trupti! There really aren't several things that are as delicious and comforting as dal, your version is definitely one of them! Hi Trupti - is tuvar dal and toor dal the same thing? I have tried this at my Gujju friends' homes in Calcutta and it is lip smackingly delicious. Must try your recipe soon. I love all kinds of Dal. Often I drink bowls of Dal with meal, I am a trotal Dal fan. and that rainbow splash in the header.....refershing! Your daal & coffee's khichadi kadi....YumOYum! !..Im a gr88 fan of those:))New look...gr888 trupti...Hey but the music is getting stuck in between. Aaah.. simple comforting daal! Too good! oh dear ! what a perfect gujarati recipe of our beloved Dal. you know something when even i met any non-gujarati people around anywhere , one thing all know is - we gujarati make sweet dals. :) . so its so widely spreaded among all non-gujju people too. keep the gujarati series going on. i love it . hows you and kids now? 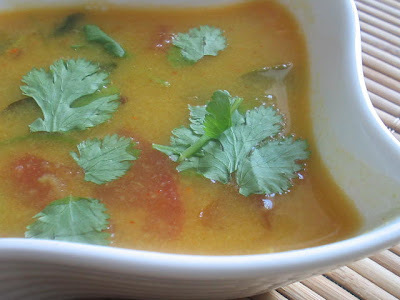 This daal looks so much like our rasam except for the recipe. What is Kokum? and yeah adding peanuts is so new to me. Will have to try out this gujarathi daal soon. great stuff, protein. Cant wait for the nankhatai. We make a similar rasam called as bele saaru/rasam. 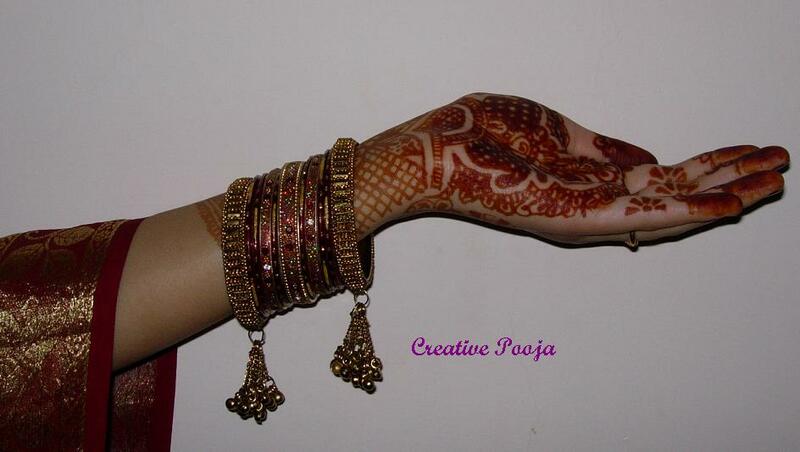 Reena: yes, I'll post a picture soon. Mallika: yep toor/tuvar are the same. Mishmash...thank you! I am so glad you tried it...hugs to you too! Vasilisa: hi!! I'd say just keep it on until the pressure cooker regulator hisses 2-3 times...depending on how fast your cooker is, 2-3 times should do it. What is kokum? Haven't heard of it. Dal looks delicious. Love the daal. Always on the lookout for more daal recipes. Will try this out! Tuvar dal - Glory be! First time on your blog. Love the gujju recipes. 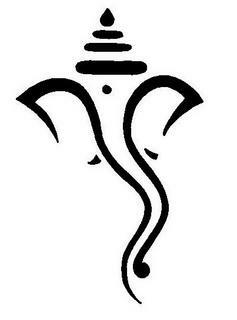 i am a maharashtrian but from gujarat. I have never been able to make the gujarati daal that they make at the weddings. Can you please post the recipe for it on your blog? by the way, your kids are very cute. thanks a lot for the input. i will try making it the next time. i am in fort lauderdale, half an hour from miami.